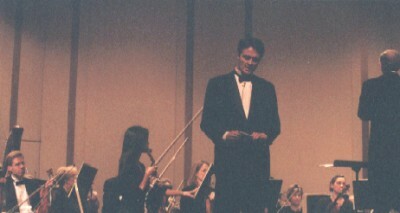 Bruce Crawford introducing the Film Fantasia concert. 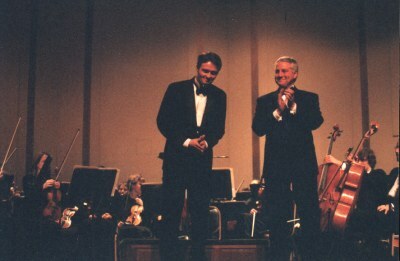 Bruce Crawford takes a bow along with co-host Dennis Green. 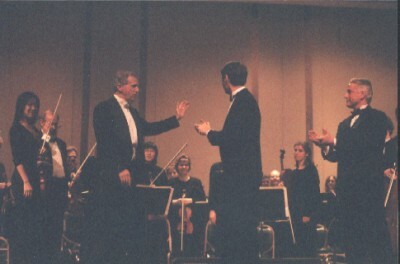 Conductor Christian Tiemeyer and Bruce Crawford and Dennis Green applaud the Cedar Rapids Symphony at the conclusion of the concert. 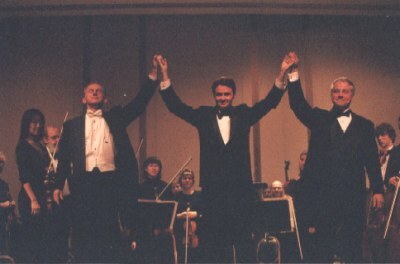 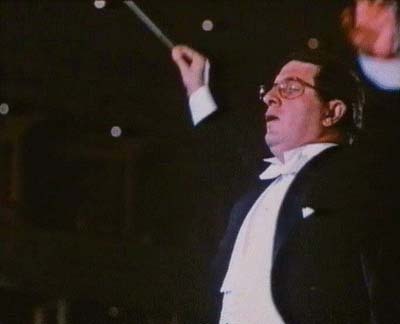 Conductor Tiemeyer, Bruce Crawford and Dennis Green all take a bow for the audience. 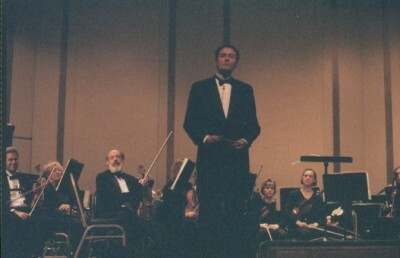 Dennis Green, Conductor Christian Tiemeyer and Bruce Crawford.